PAC DUAL TRAC SHELF MOUNT is molded from durable, non-corrosive glass fiber reinforced nylon. 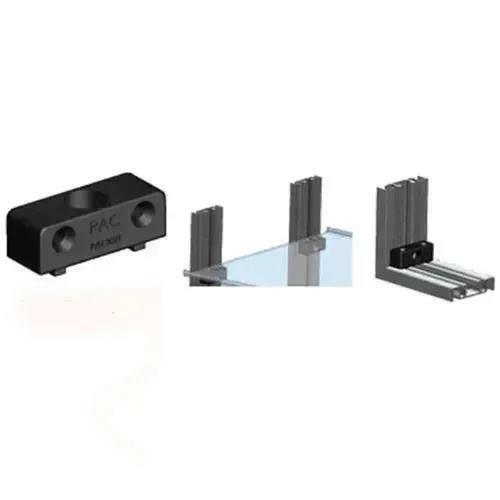 Alignment feet make installation to PAC DUAL TRAC and PAC MINI DUAL TRAC simple and error free. The Shelf Mount can connect Dual Trac & Mini Dual Trac at right angles, as well as, provide a fast secure method for shelf mounting with the included fasteners. Made from durable reinforced nylon.